Species: Sticta canariensis sens str. Photos: On rock. Killarney NP, Co. Kerry, SW Ireland. Green algal morph. 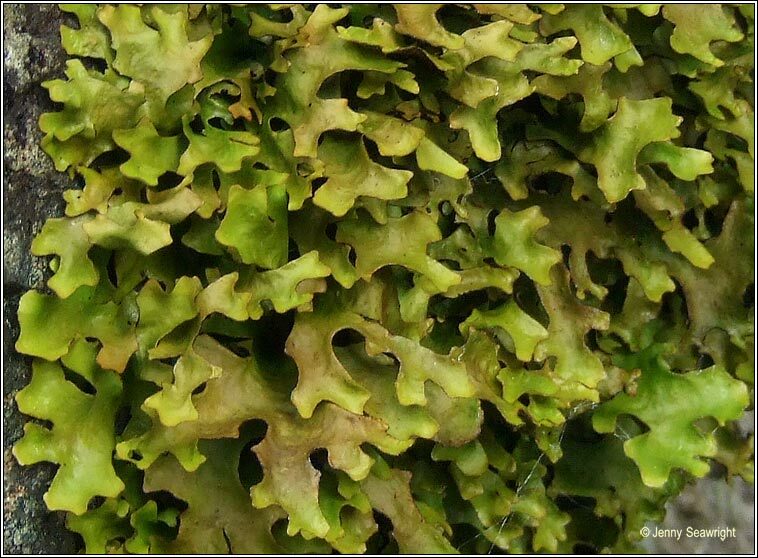 Thallus grey-green, bright green when wet, with smooth, rounded lobes. Lower surface with small, scattered pseudocyphellae, dark brown at centre, paler towards margins. Isidia absent, apothecia rare, discs red-brown with paler margins. 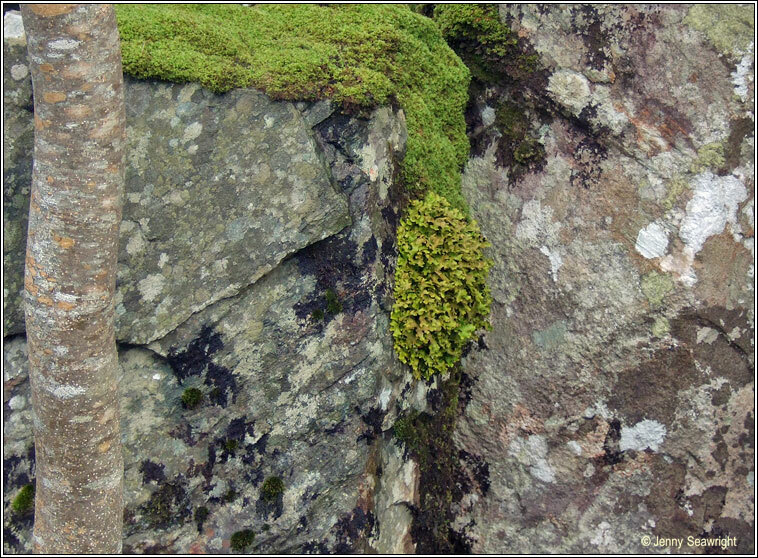 Composite thalli with both green and cyanobacterial morphs occur. Chemical reactions negative. 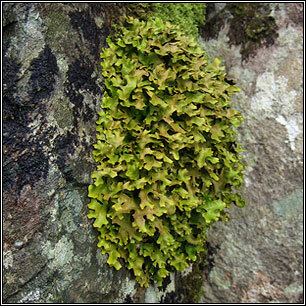 Rare, found on damp rocks and trees in a few locations in old-established woodland in SW and W Ireland. 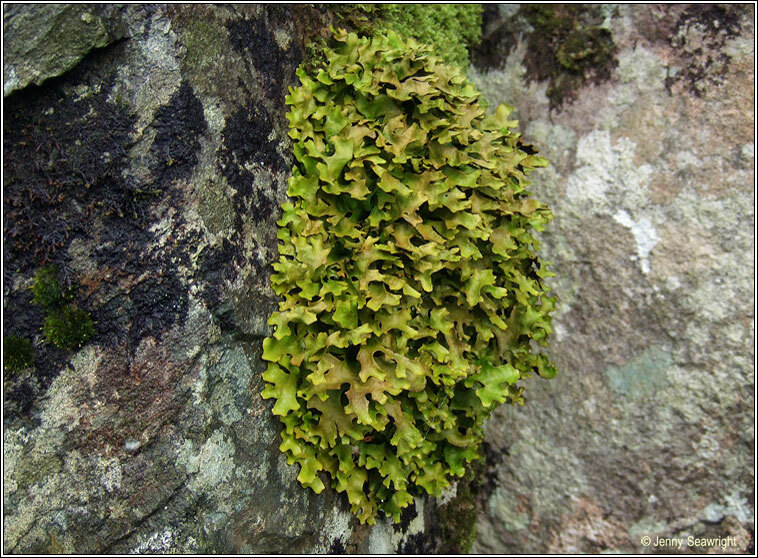 Cyanobacterial morph: Sticta dufourii. Brown lobes, isidiate.